Leslie Knope is fantastic and she is a wise ( and fictional) women. 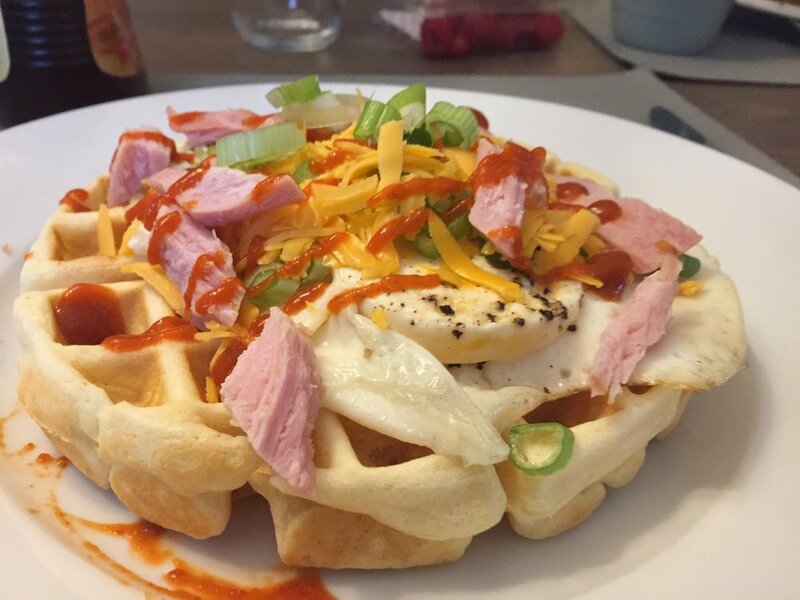 These waffles are easy to put together, and as I posted yesterday I loved to put a savoury twist on most things. I like to top my waffles with cheese, green onion, bacon, hot sauce and maple syrup (cause Canada). 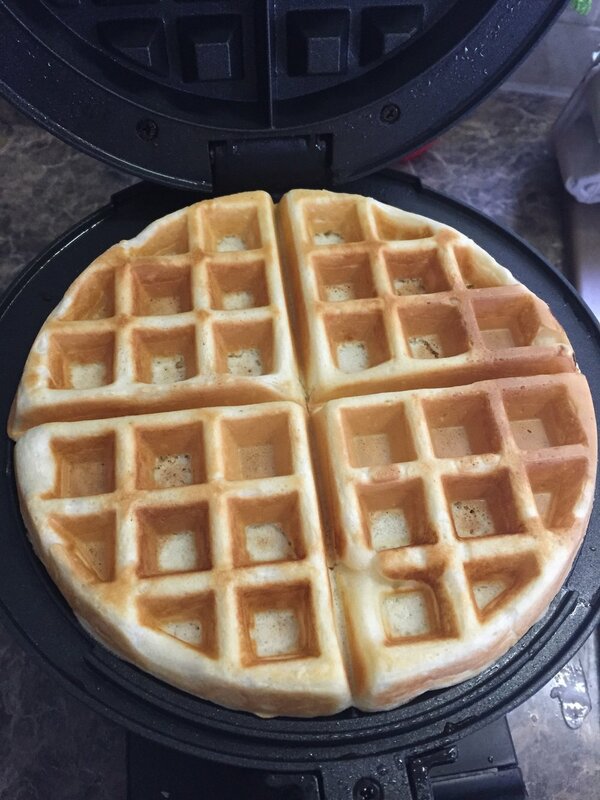 You do need a waffle maker for this, but waffle makers are the best because you can make a lot of things into a waffle, leftover mashed potatoes, cinnamon buns, tater tots. I could go on, but i'll save it for another blog. I feel another blog post coming on just for that. Yes my love for all things sourdough continues. These waffles are a ray of sunshine, so you should probably make them.